The D38999/26ZC35PN connector features an improved 'one-turn' coupling system, utilizing self-locking acme thread. Acme threads provide coupling durability, while thicker wall sections and greater coupling surface area improve strength and shock resistance. Blunting of the threads on both receptacle and plug coupling nut eliminates cross threading. Straight Plug, jam nut receptacle and straight self-locking RFI plug are offered in 9 shell sizes and 54 insert arrangements utilizing M39029 contacts in sizes 22D, 20, 16, 12, 10 power and 8 twinax. 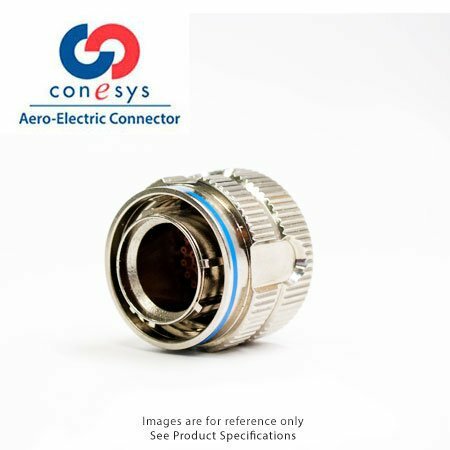 The D38999/26ZC35PN connector is also available in a wide range of shell materials and finishes. Aluminum shells are offered in electroless nickel, black zinc nickel and olive drab cadmium. In addition, we offer stainless steel shells (both passivated and electro-deposited nickel plated) with firewall inserts, and for highly corrosive environments, nickel-aluminum-bronze shells with standard environment-resisting inserts (commercial callouts only).